In a home filled with technological marvels of all shapes and sizes, one piece of oft-derided hardware gets more love from my family and I than any other. Kinect, tell the nice people how much I cherish you. Okay, so that particular voice command doesn’t do anything. So many others do, and my household has come to rely on them over the past four years. Up until the release of the original Kinect for the Xbox 360 back in November of 2010, Microsoft’s console had no place in our living room. We had two PlayStation 3 consoles—one for the office, one for the living room—and a single Xbox 360 that stayed in the darkened cave where I worked. The Xbox 360 Kinect changed that dynamic largely out of necessity, and by that I mean I am too large a person for it to see my entire body in a small office, so reviewing titles like Harry Potter and the Really Rather Unfortunate Kinect game necessitated a move to the living room. Sadly, even with eight feet of space to work with the old Kinect could barely see me trying to pet my Kinectimals. Games were never Kinect’s strong suit, especially not for me. Microsoft tried its hardest to give gamers fun things to do with their super camera device, but the best they could do was dancing games and all-too-brief glimpses of bizarre greatness. Our relationship with the Kinect really kicked into high gear in 2011, when the Xbox 360’s babysitter app Netflix updated with Kinect voice controls. It was a bit messy at first, but then so were we. My wife and I had two newborn baby boys, and quite often had our hands full of small human or small human by-products. The ability to do something as simple as starting a program or making the next episode start without touching a controller was a godsend for both us and our controllers. I am surprised my children’s first words weren’t “Xbox next episode” or “Xbox Netflix.” At their smallest and noisiest I swear I heard them trying. Soon shouting at our television became commonplace in our home, usually from my wife in the living room while I was working in my office. “Xbox next episode. XBOX next episode. XBOX NEXT EPISODE!” This was generally followed by me shouting, “JUST USE THE DAMN CONTROLLER!” Good times. Fewer and fewer Xbox 360 games were coming out in those purple “Kinect Required” boxes as the next generation of consoles started coming into view, but we didn’t care. As long as we could yell our television shows into existence we’d be fine. Things were good. Then things got even better. The Xbox One arrived in November of 2013, and with it a brand new Kinect sensor. A sensor that could see not only me, but my entire living room! A sensor that controlled not only media streaming apps, but cable television! A sensor that could spy on your home and report back to some shadowy government agency, or take pictures of you naked and upload them to the internet! Probably not those last two things, but the general public didn’t take well to the idea of a camera in their living room constantly watching what they were doing. Despite Microsoft’s assurances that their private lives would remain so, many folks picking up the Xbox One on launch day left the Kinect in the box and never looked back. Eventually Microsoft started selling the console without the Kinect, which many people happy. Not me though. These days we have two Xbox One consoles in the house and only one PlayStation 4. The Xbox One in the living room has a Kinect. The one in my office does not—I picked up one of those Kinect-free Assassin’s Creed Unity bundles before I realized I hated Assassin’s Creed Unity. I also hate the Xbox One in my office. Well, not hate so much as resent. I’ll try to talk to it sometimes, but it never listens. I’ve pondered paying $150 for a standalone Xbox One Kinect, but I can’t bring myself to do it. I made my mistake. Now I live with it. Sometimes I just stare balefully at the office Xbox One when it isn’t looking. It’s never looking. It has no Kinect. That’s right, you’re a glorified Wii U shelf, you jerk. Meanwhile the living room of my home is a high-tech, voice-activated. camera-enabled wonderland. When I want to Just Dance? Well, I Just Dance. There will never be photographic evidence of me playing Just Dance. When I want to search the web? “Xbox watch Cartoon Network.” Then I go get my tablet while the kids are distracted. I am never saying “Xbox Bing.” I have my limits. 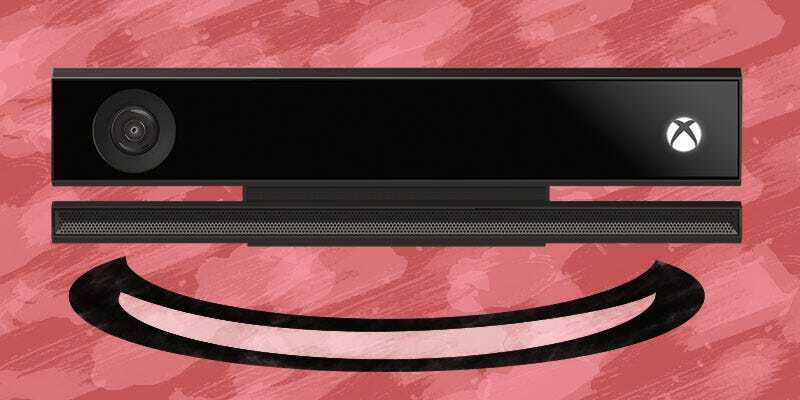 I use the Kinect for Skype. I use the Kinect to ask Forza Horizon 2’s navigational computer Anna where to go next. I use the red LEDs on the Kinect to determine whether or not the children have been screwing around with the cables coming out of the Xbox One again. The Kinect is the subject of much derision, and rightly so. As a game-playing device it never reached its full potential, and as we inch towards what’s either the age of virtual reality or the next thing we’ll joke about in five years (3D gaming! ), it’s unlikely it will. Releasing an always-on camera in a country where concerns over personal privacy were at a fever pitch was probably a misstep as well. But here in our household the Kinect has become part of the family, and you don’t condemn a member of your family for making a few massive mistakes. You appreciate what they do right, tolerate the mannerisms that annoy you and shout at them over and over again until they change the damn channel. Contact the author of this post at fahey@kotaku.com or find him on Twitter@bunnyspatial. Or just tap into his Kinect camera. It’s always on.